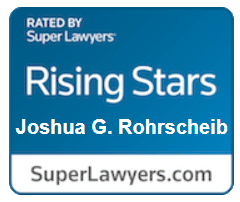 Josh Rohrscheib is a partner with Bolen Robinson & Ellis, LLP, one of Central Illinois’s leading litigation law firms. He and his partners represent both plaintiffs and defendants in high stakes, complex litigation in Central Illinois and throughout the country, with a proven track record of success. And, unlike the majority of our peers, we have bucked the misconception that for a practice to be successful its lawyers must always litigate on one side of the aisle or the other. Instead, on a daily basis, we use the unique knowledge we have gained prosecuting and defending cases to achieve intended results for our clients. For more information on the litigation practice of Bolen Robinson & Ellis, LLP, visit the firm’s litigation page. Or contact Josh Rohrscheib for a no-cost initial consultation.